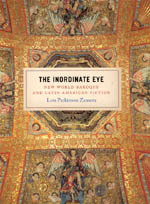 The 2007 Harry Levin Prize is awarded to Lois Parkinson Zamora for The Inordinate Eye: New World Baroque and Latin American Fiction, published by Chicago University Press. This book is a bold venture joining visual studies with literary studies to revise our narratives of art, history, and literature, and it is also a splendid example of the possibilities of Comparative Literature as an endeavor engaged with the materiality of its cultural and historical object of investigation. Parkinson Zamora succeeds admirably as a comparatist in visualizing the contrapuntal refractions of a historical and aesthetic reality that has been aptly called baroque. Introducing the "inordinate eye" as an alternative to the colonial and postcolonial gaze in Latin America, she emphasizes cultural legibility rather than literacy in her analysis of New World Baroque, and locates theoretical questions about "seeing" in an historical and geographical context that has long challenged the disciplinary faculties of Comparative Literature. Parkinson Zamora builds her masterful study on the methodological scaffolding that defines Comparative Literature as the field where heterogeneous elements, paradoxical realities, and heterodox visions converge.